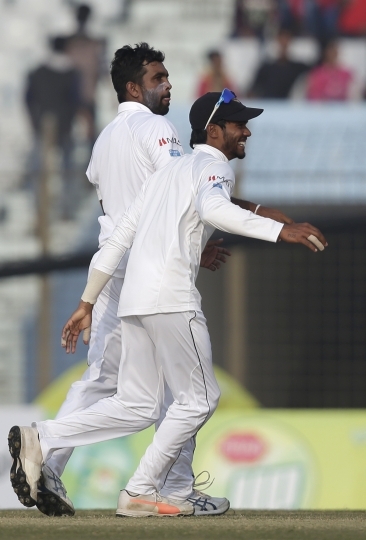 CHITTAGONG, Bangladesh — Sri Lanka set up a potential final-day victory in the first test against Bangladesh after smashing 713-9 Saturday before reducing the hosts to 81-3 in their second innings. 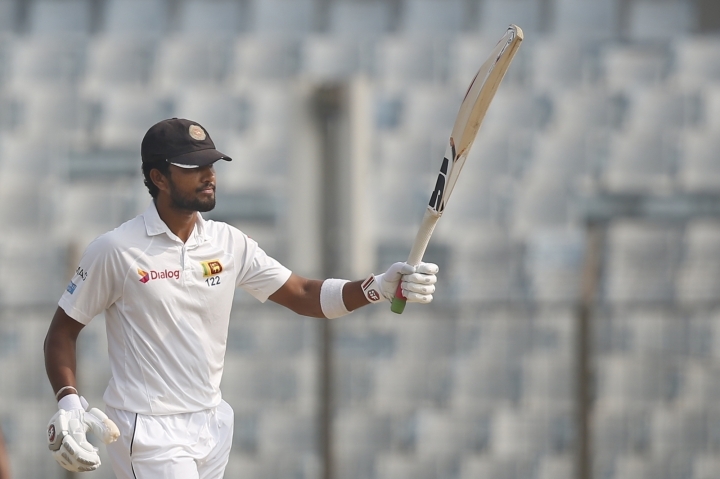 Bangladesh still trails Sri Lanka by 119 runs with first-innings centurion Mominul Haque 18 not out at stumps on Day 4 with an increasingly deteriorating pitch. "We have a pretty good chance to win," said Sri Lanka batsman Niroshan Dickwella. "They went into a negative position to save their wickets and defend the balls. I don't think it is the way to bat in this wicket." 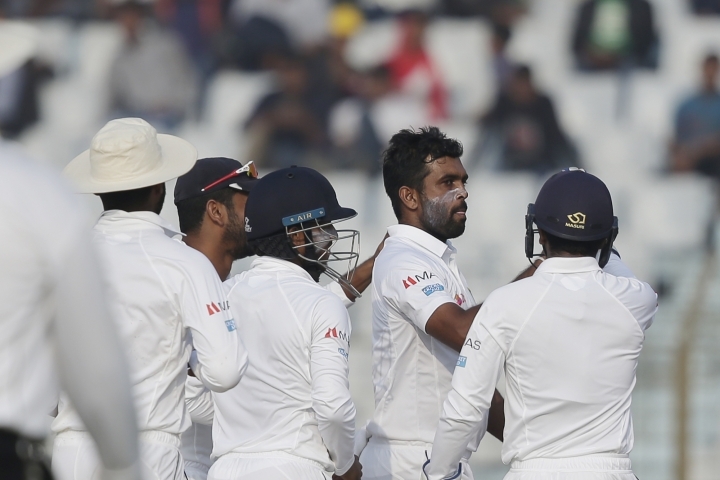 Sri Lanka declared its first innings two overs after tea, having reached the second highest total against Bangladesh. Sri Lanka also scored the highest — 730-6 declared in 2010 in Dhaka. 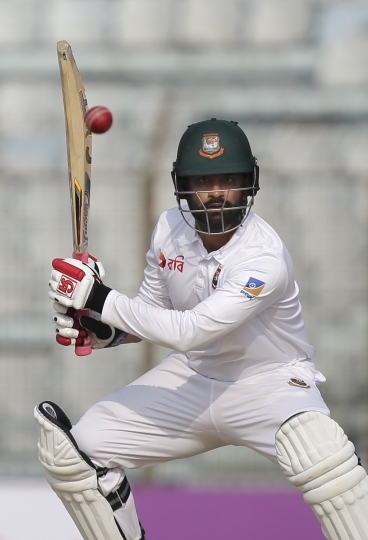 Openers Tamim Iqbal and Imrul Kayes made an aggressive start for Bangladesh which amassed 513 runs in its first innings, but Kayes played an expensive sweep shot against off-spinner Dilruwan Perera to throw away his wicket for 19. Left-arm spinner Lakshan Sandakan undid Iqbal with a quicker delivery to bring an end to his fluent 41, leaving Bangladesh 76-2. Mushfiqur Rahim and Haque looked like seeing out the day for Bangladesh without further problems until Rahim was out for 2. After resuming the day on 504-3, Sri Lanka added 109 runs in the first session to surpass 600 and eclipse England's 599-6 declared against Bangladesh in 2010 for the highest innings total at the venue. 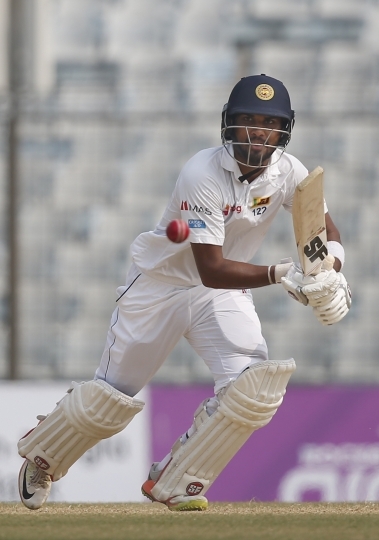 Roshen Silva, playing just his second test, scored 109 to become the third centurion in the Sri Lankan innings after Kusal Mendis (196) and Dhananjaya de Silva (173). Silva was dismissed trying to cut offspinner Mehidy Hasan (3-174) in the 156th over to end a 135-run partnership with Chandimal. Left-arm spinner Taijul Islam claimed the wicket of Chandimal for 87 with a straight delivery in the first over after lunch. 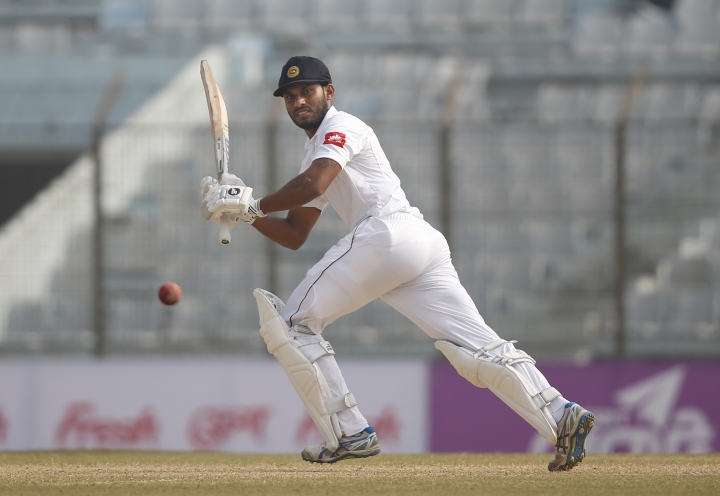 Hasan then had Dickwella caught behind after the batsman made a fluent 61 ball-62, with nine boundaries, before Perera (32) was undone by left-arm spinner Sunzamul Islam (1-153) for his maiden test wicket. Taijul Islam dismissed Suranga Lakmal (9) and Rangana Herath (24) in his consecutive overs after tea. He took four wickets in the innings but conceded a record 219 runs for a Bangladesh bowler in 67.3 overs. "There is a lot to think and a lot not to think about. 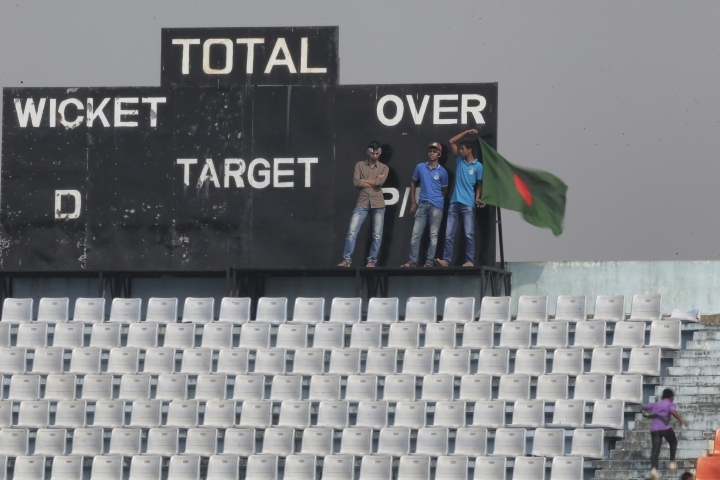 We have to save the game," Taijul Islam said. "There are rough areas that are created as bowlers bowl from different angles. Rough can sometimes make a bad ball into a good one."